Held first in 1993, World Water Day (22 March) is a chance for the “water world” to try to get more people in more places thinking about water issues. After all, water is a key “nexus” issue, linking nearly everything to nearly everything else. In addition to its key importance in keeping animals and plants healthy, it is also critical for the production of the food and energy upon which we all depend. Most industrial processes require water, either as an input (e.g. as an ingredient, as in beverages) or as part of the process (e.g. washing water for semiconductor manufacture or oil refining). The Organisation for Economic Cooperation and Development’s Principles on Water Governance report, published in June 2015, suggested that by 2050, “240 million people are expected to remain without access to clean water, and 1.4 billion without access to basic sanitation.” The Securing Water, Sustaining Growth report (2015) highlighted that the “total global economic losses associated with inadequate water supply and sanitation, have been estimated by WHO at US$260 billion annually.” Exposure to water-related risks magnifies this economic risk greatly. World Water Day is therefore an opportunity to learn more about water related issues, to be inspired to tell others and to take action that can make a difference. 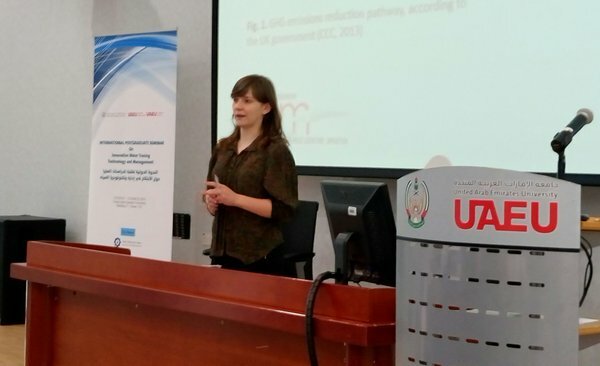 This year the UWE, Bristol IWSN team partnered with the National Water Center and the College of Science at United Arab Emirates University to mount events for World Water Day. In fact we had so many good ideas, and so much interest, that we held events over three days! Dr. Ahmed Murad, Dean of the College of Science, said: “Organising an event on this day aims to draw the attention of the community to the water issues and crises, and methods to address them. We want to raise the students’ awareness of the importance of these types of studies related to water, the most primary resource of our planet.” Dr. Murad further explained that the theme of this year’s World Water Day was future opportunities and careers, and hence the focus was on the graduate students, who are expected to represent competencies in the local and international community in the future. 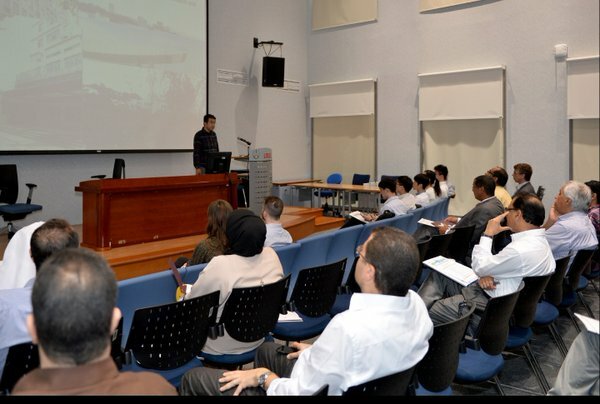 In addition, the Department of Geography and Urban Planning and the Geography Club held a lecture entitled: “About the environmental and economic water problem in the UAE, and the future of water and the challenges facing the region as a result of the scarcity and depletion of groundwater.” This was delivered by Dr. Tareefa Al Sumaiti, Assistant Professor in the Department of Geography and Urban Planning. Prof. Saif Al Qaydi, Dean of College of Humanities and Social Sciences, said at the opening speech: “Water issues are a vital topic as water is a fundamental pillar of sustainable development.” He also noted the need to identify the importance of water management and rational consumption to the community, through including it in school curricula and holding awareness lectures for students to raise their awareness about the problem of scarcity of water in quantity and quality in the State. The activities of World Water Day included an exhibition of student activities on water. 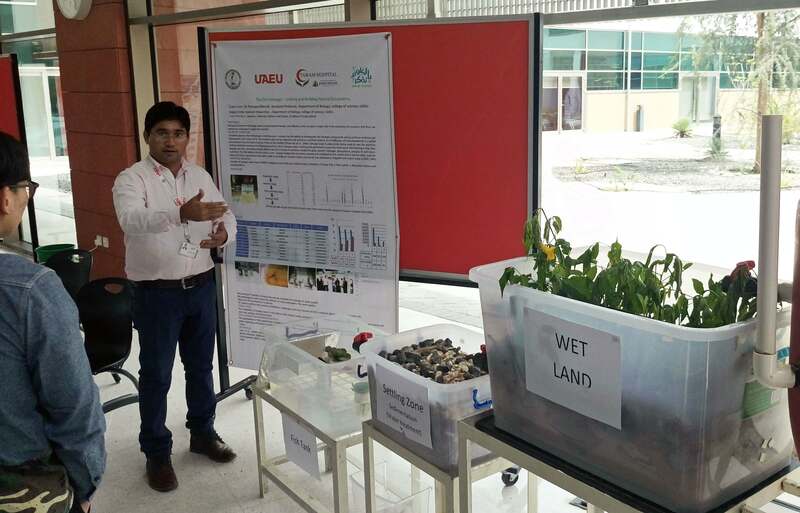 The College of Science also hosted a “Water and Science” exhibition showcasing cutting edge water research underway at UAEU including salinity management in groundwater, artificial constructed wetlands for wastewater treatment, and aquaponics. There was also a Swimming and Water Ball Competition, in order to get participants to consider water issues and their link with daily life. At the “Enjoy Water” event, examples of how to purify and treat water were presented. These are open to all attendees, as well as other activities that link academic study with practical application.